Put a bow on it! 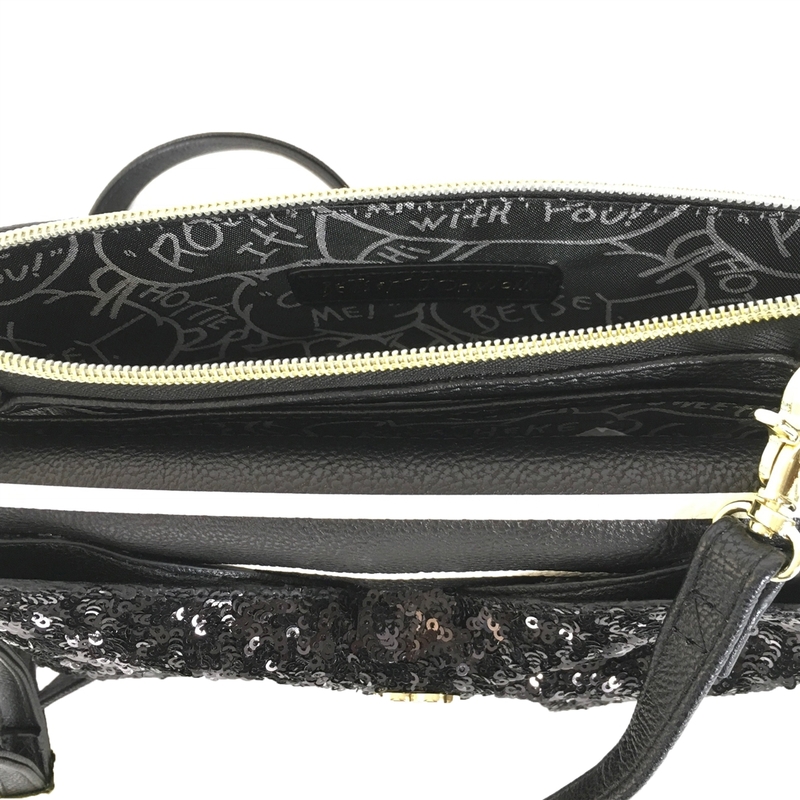 This super cute wallet on a string crossbody has all the organization you need for the on the go gal. 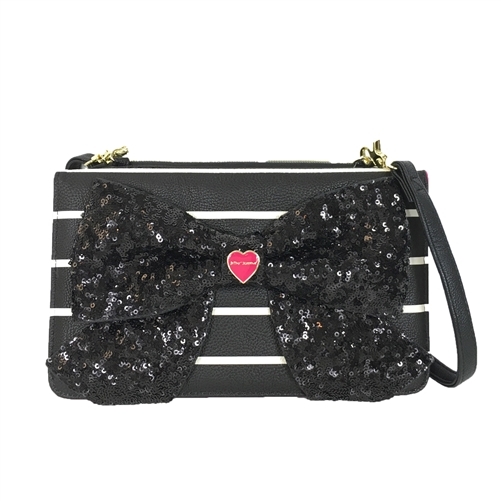 Crossbody bag in synthetic leather with oversized sequin bow applique at front. 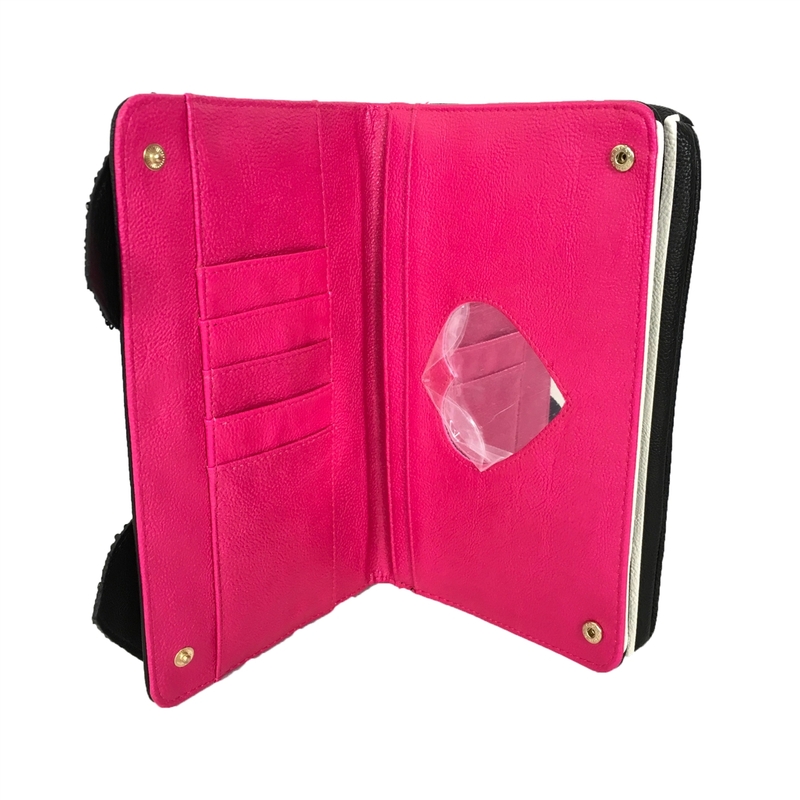 Front flap opens to wallet with 5 credit card slots, 3 bill slips & a heart mirror. Top slip pocket. Top compartment w zip closure. Fabric lining.